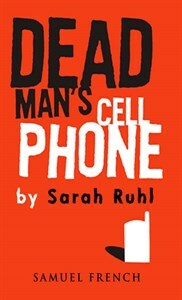 Dead Man's Cell Phone, Sarah Ruhl's surreal and funny look at mortality and human connection in our technologically fragmented world, will lead off the season, directed by Dani Snyder-Young in performance October 4 to 9, 2016. Ruhl's play won the Helen Hayes award for Outstanding New Play for its Washington DC premiere at Woolly Mammoth Theatre Company in 2007. A well-regarded production at New York's Playwrights Horizons followed in 2008, with Mary-Louise Parker as Jean, the woman who picks up a ringing cell phone next to a dead man in a cafe and starts an odyssey to find out who he was and what it all means. In his review in the New York Times, Charles Isherwood says, "[I]t is the act of answering a phone that draws Jean into the mysteries of life, death and the varieties of love, from the compassion for a stranger that an overheard conversation can evoke to the continuing challenge of romantic intimacy." In November, Scott Susong will direct The Boys from Syracuse, a Rodgers and Hart musical adaptation of The Comedy of Errors. Broadway legend George Abbott wrote the book of this zany musical comedy about two sets of twins separated as babies and all the hijinks that ensue when they're all in the same place at the same time but unaware they have mirror images. Abbott produced and directed the show in its Broadway premiere, with another legend -- George Balanchine -- as choreographer. Songs include "Sing for Your Supper" and "Falling in Love with Love." 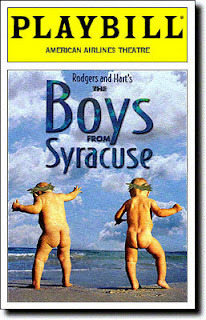 The Boys from Syracuse opened on Broadway in 1938 with a cast that included Green Acres' Eddie Albert and Illinois's own Burl Ives, star of song, stage and screen. (You may remember him as the voice of Sam the Snowman in the animated classic Rudolph the Red-Nosed Reindeer, where he sang "A Holly Jolly Christmas," or as Big Daddy in the film version of Cat on a Hot Tin Roof. He won an Academy Award for his performance in The Big Country.) The 2002 Broadway revival at the Roundabout featured a new book by playwright Nicky Silver, with Lee Wilkof and Chip Zien as the two Dromios. The Boys from Syracuse is scheduled to run at the Jerome Mirza Theatre from November 15 to 20, 2016. Arthur Miller's perennial favorite The Crucible will take the Mirza stage in March, directed by Tom Quinn, with guest Equity actor David Kortemeier brought in to play the role of Deputy Governor Thomas Danforth. On its face, Miller's Crucible is about the Salem witch trials, with proud Salem resident John Proctor trying to stand firm as growing hysteria threatens his household and his neighbors. The Crucible was written in 1953, putting it smack-dab in the middle of the witch hunt conducted by Senator Joseph McCarthy under the guise of rooting out Communists in the United States. 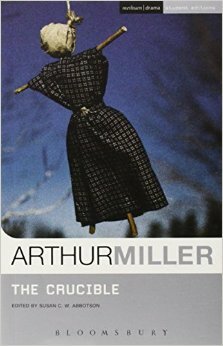 After his play came out, Arthur Miller was himself questioned by the House Un-American Activities Committee. Coincidentally, so was then-folk singer Burl Ives. (Miller refused to talk, but Ives named names and made a lot of enemies in the folk community.) Look for The Crucible at Illinois Wesleyan University March 7 to 12, 2017. IWU's 2016-17 season finishes up with the Faculty Choreographed Dance Concert, directed by Sheri Marley, from April 18 to 2, 2017. Information on the schedule for the E. Melba Johnson Kirkpatrick Laboratory Theatre will be filled in later. For more details, contact the McPherson Box Office at 309-556-3232. I usually avoid The Crucible - it's a great play, but I personally don't enjoy watching such hateful stupidity portrayed on stage (it just pisses me off too much). However, it'll be great to see Dave Kortemeier - what a wonderful actor - working with Tom Quinn's direction. I do like The Crucible -- and I remember ISU's production in old Westhoff with a set that made it look like the action was inside a whale -- but it can be overdone, that's for sure. I think David Kortemeier should be a great addition to any witch trials! His Titus Andronicus at the ISF in oven mitts was one for the ages.